The Somerfield is a traditional 5 bar gate which is very popular across the UK, its classic design features a tapered top bar with superior hanging stile. the robust frame is joined using mortice and tenon joints providing maximum strength, combined with the traditional diamond bracing offering long lasting stability. 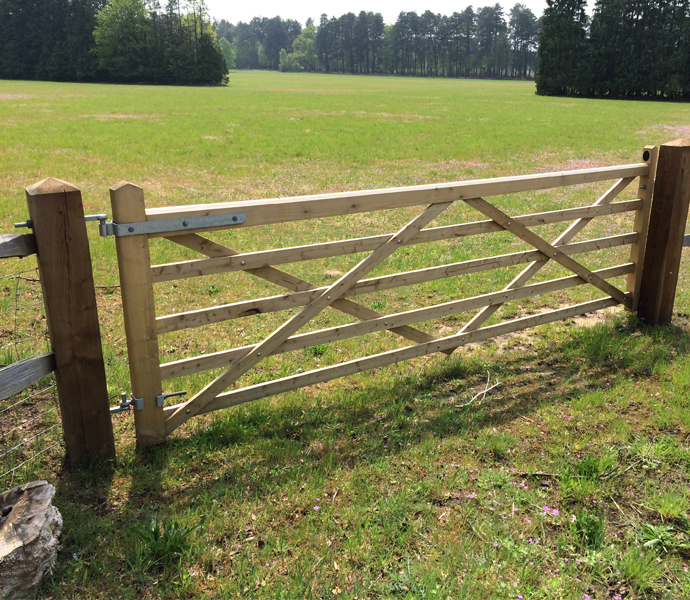 The Somerfield is planed with a chamfered top bar, ensuring a smooth attractive finish, and with stainless steel nuts and bolts this good value long lasting gate is suitable for all types of entrances from residential to equestrian. Available from stock in selected slow grown scandinavian kiln dried softwood which is pressure treated for durability.